Gene Block has served as UCLA chancellor since Aug. 1, 2007. He previously was vice president and provost of the University of Virginia, where he was also the Alumni Council Thomas Jefferson Professor of Biology. 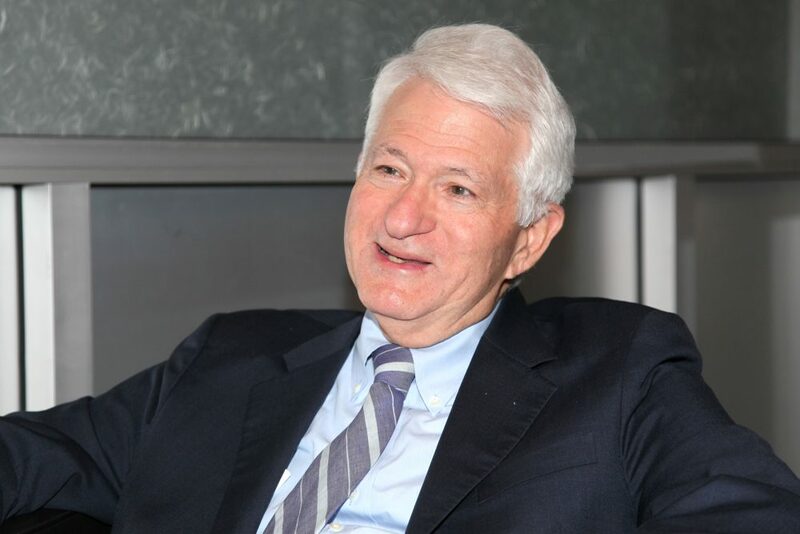 Chancellor Block is a distinguished professor of psychiatry and biobehavioral sciences in the David Geffen School of Medicine at UCLA and holds a joint faculty appointment in integrative biology and physiology in the UCLA College. Before taking part in a Zócalo/UCLA panel discussion titled “How Can We Reverse the Depression Epidemic?” at the National Center for the Preservation of Democracy in downtown Los Angeles, he chatted in the green room about his father’s mid-life funk, why jet lag makes you tired, and what scientists learned from people living underground. You’ve done a lot of work on the neurobiology of circadian rhythms, and how humans respond to lack of sleep and disruptions in the normal day-and-night cycle. Was this phenomenon first observed during the Industrial Revolution, when farmers began moving to cities and working long shifts in windowless factories? Are there earlier examples? Circadian rhythms are these 24-hour cycles that plants, animals, and humans all exhibit, and they were recognized early on. They recognized in antiquity that there were sleep cycles, and that plants had these up-and-down leaf movements. But it wasn’t until I think the 18th century that a French physicist took a plant into a wine cellar and observed it each day, and realized that even in darkness the leaves of the plant went up during daytime, and down during the time that would be night. That was the first example of circadian rhythms that is an endogenous clock within the plant, that actually controls leaf movements. It requires the sun’s solar cycle to synchronize. And did he hypothesize that this was true of other living things? Yes, he thought there might be an internal time sense. And much later on people placed animals into complete darkness, and observed that a rodent would become active about every 24 hours. The work with humans really began in the 1950s, the 1960s. The best research was performed in Germany, in Bavaria, where investigators built two apartments underground, and people would volunteer to stay down there for an entire month. And they’d watch their sleep-wake cycles, they’d measure their performance abilities, they’d try to determine their mental state. And they realized that humans are profoundly rhythmic, even without environmental cues such as light. We still express near 24-hour rhythms—actually a little longer than 24 hours under constant conditions. Since this time, people have realized that circadian rhythms are important for human physiology and behavior. If you disrupt them, as is experienced with jet lag or rotating shift work, the impact is not only on your physical state but also on your mental well-being. Does that just make us tired and cranky, or can it also lead to depression? It’s still not fully understood, the link between sleep and depression. It’s bi-directional. When people start getting depressed, there are changes in sleep cycle that are oftentimes an early sign of problems. But also, if you alter the sleep cycle, people can become depressed. Some of your fellow panelists told me that they got interested in depression because of a direct personal or family experience. How about you? My father went through this phase—I can’t remember at what age, but it was probably in his fifties. I remember it as being pretty terrible for him. I’d say it went on for at least a year. He kept working but he was unhappy and not very communicative. Fortunately, he “snapped out of it” just as mysteriously as he went into that state. Did you ever talk to him about it? Never! In those days I suspect people did not discuss mental issues. There are few families who are not touched by depression. It’s extraordinarily prevalent. Are we getting better at talking about it? There’s been a huge effort to reduce the stigma associated with mental illness. There have been highly visible campaigns by celebrities. With all this effort there are still students at UCLA who are hesitant to talk about depression. They worry about having a record that indicates they sought treatment. This is a problem. What would you say to people who at this time of year are feeling like Jimmy Stewart in It’s a Wonderful Life? There’s something called “seasonal affective disorder,” which seems to be associated with wintertime. So it may be related to the light-dark cycle. Some of the sadness may be associated with the holidays, and new stresses that people face as their families come together. So I think the combination of things, short days and social interactions, can be quite challenging. For seasonal affective disorder, some believe the remedy is additional light. So this New Year’s Eve should we all hang out in Palm Springs and not talk politics?